The player works for [[Bubby]], and also for [[Sonetti|Don "Bald Man" Sonetti]]. They have the player do several jobs, ranging from stealing two taxis to killing the police chief. One mission also involves a trap in the form of a bomb on a bus that will blow up if it gets below 50 mph (this was inspired by the movie [[wp:Speed (film)|Speed]]). Once the player has enough points, A mafioso will want to speak to them. Apparently the player double-crossed Bald Man Sonetti, and is a dead man if it happens again. Now, the player works for [[El Burro]]. Once the player does enough jobs, pleases him, and gets enough points, he'll ask them to come over to his place. The player did good work for him, and he is grateful. Now he's going to return the favor. He's going to reward the player "personally" this time. 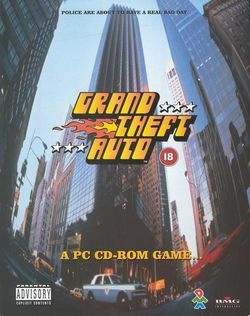 Now, the player works for [[El Burro (GTA 1)|El Burro]]. Once the player does enough jobs, pleases him, and gets enough points, he'll ask them to come over to his place. The player did good work for him, and he is grateful. Now he's going to return the favor. He's going to reward the player "personally" this time.